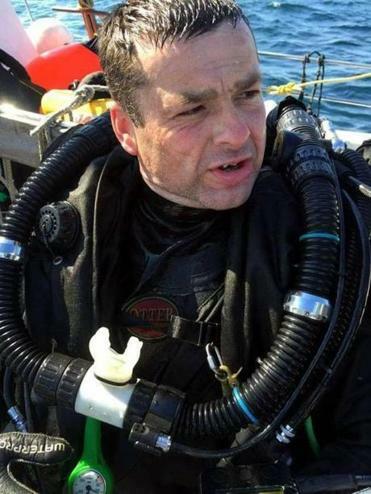 Off the coast of Nantucket on Monday, the international diving community lost a “leading light” with the death of Steven Slater, according to a friend and fellow diver, Steve Sanders. Slater, described as an experienced technical diver, was pulled from the water unconscious near the wreck of the Andrea Doria, according to authorities. Crew members on the commercial charter vessel that had shuttled Slater out from Montauk, N.Y., performed CPR on the diver for more than two hours, according to a spokeswoman for the US Coast Guard. Slater died before the vessel returned to land, according to East Hampton Town Police Captain Christopher Anderson. The 48-year-old from Gateshead, England, had dived on some of the world’s most notable underwater wrecks, Sanders said. Slater was diving at another historic wreck, the Andrea Doria — a bucket list dive, Sanders said — when he was pulled from the water. The Italian luxury liner sank after colliding with a Swedish ship just before midnight on July 25, 1956. More than 50 people on board were killed, and the vessel now sits approximately 200 feet below the surface. As many as 16 divers have died trying to reach the wreck. Sanders said another British diver, Clare Fitzsimmons, was on the trip with Slater and said friends back in England are arranging her return. International diving communities lamented the loss on social media. “Steve pursued his passion, actively researching, then searching and diving missing wrecks,” read a post on the Facebook site for EUROTEK Advanced Diving Conference. Captain Nick Caruso of the Ol’ Salty II Sports Fishing Charter, which operates the vessel Slater took from Montauk, posted that it was a “sad day” as the vessel returned to shore. “Our deepest, sorrow and sympathy to the family and friends of the lost brother wreck diver,” Caruso said in the post. Travis Andersen of the Globe staff contributed to this report. Sara Salinas can be reached at sara.salinas@globe.com. Follow her on Twitter at @saracsalinas.